Rationalist Judaism: The Encyclopedia Advances! 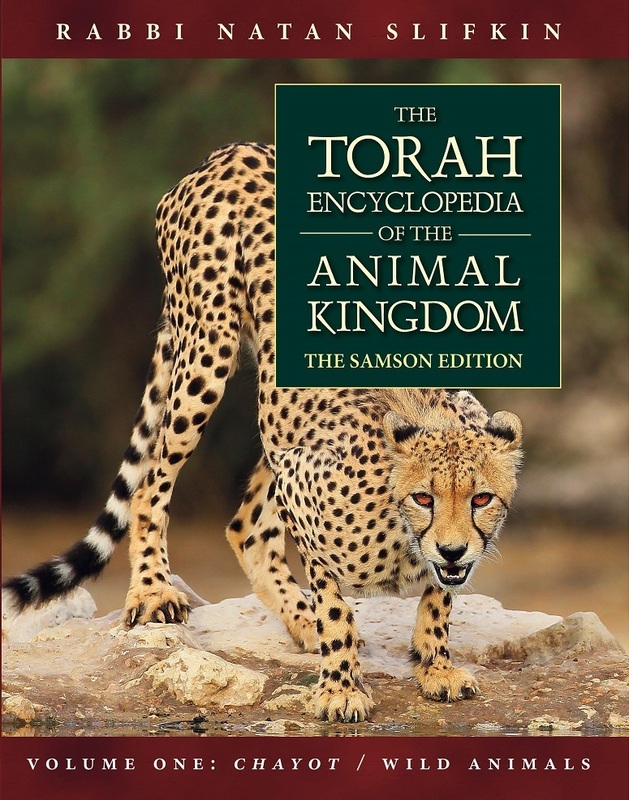 My biggest literary project ever, The Torah Encyclopedia of the Animal Kingdom, is advancing! Last year, I finished the first volume, on wild animals, and now it's been edited, proofread, and is currently at the layout stage. The size and complexity of this project is staggering - I probably would never have had the guts to start it, thirteen years ago, if I would have foreseen how much work it would entail! This volume is over 150,000 words long (and may end up being printed in two physical volumes), with many hundreds of citations from Scripture, Talmud and Midrash, well over a thousand endnotes, and hundreds of carefully selected pictures. Previously, I released an early version of two sample chapters. Today, I'm pleased to release a near-final version of those chapters, after layout and including stunning pictures. You can freely download these chapters on the leopard and hyrax. Note that each file is a 10 megabyte PDF download. Please also note that the layout on these chapters is not 100% finished yet! The Table of Contents can be downloaded here. One of the many difficult editorial decisions was with regard to the question of whether to include the Hebrew text for the verses that are cited. When I raised this question on this blog a year ago, many of you requested that the Hebrew text be incorporated. 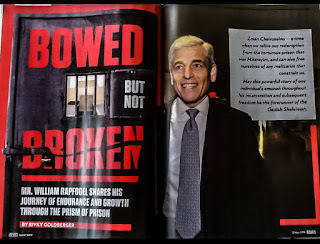 However, the editor-in-chief was strongly opposed, saying that many readers would be turned off by the English text being broken up in this way. The book designer, Raphael Freeman, came up with an ingenious and beautiful solution, which you can see in the sample chapters. The vast size and complexity of this project, and especially the full-color photos, means that it is extraordinarily expensive to produce. So far, about a third of the costs have been raised in sponsorships. If you would like to make a dedication in the book, please be in touch. This is a unique opportunity to support a truly groundbreaking project of great and lasting significance! 1) Kol HaKavod - it looks beautiful! 2) Minor typo in the Hyrax section (correction in brackets): "These refuges serve to protect the hyrax from predators, including leopards [and] hyenas, but principally eagles". Or, alternatively: "These refuges serve to protect the hyrax from predators, including leopards, hyenas, [and,] principally[,] eagles"
Can't have a list that goes "including A, B, but C"
Perhaps you want to consider a Kickstarter type campaign, with certain amenities (e.g., autographed copies etc.) offered to those who contribute or pre-order. Question: The caption under the picture of a leopon reads, "rare photograph of a leopon" are you trying to state that the photgraph is rare or that the leopon is rare? It should then state "photograph of a rare leopon". Thought of that, then the caption should reflect that. "rare photograph of a rare leopon"
That meaning is probably self-evident - the rarity of the photo is likely to correlate with the rarity of the animal. Sorry for sounding like a stickler, but there is no need to annotate a photo with the word rare. If the description of the animal makes it clear that it is rare, having a photo speaks for itself. Whether rare modifies the photo or the animal, it is redundant --- if the animal, it could have picked any adjective which describes the animal (e.g. Would one caption a photo of an elephant with "A photo of a four-legged elephant". If the elephant is described as a four-legged animal, there is no reason to provide that information in the photo.) And if it describes the photo, it sounds gratuitous. I understand if an advertisement for the book proclaims that it contains many rare photos, but gratutitous to inform us on a case by case basis which photos are rare. Granted, this is nit-picking. Innovative design. It looks great. Have you made a conscious decision to use American spelling rather English? e.g. favorably instead of favourably. This undertaking (first of its kind on this scale) when completed will elevate your name to the upper echelons as Torah's modern day leading authority within your expertise unrivaled by any other. Am I the only one who hates endnotes? How many are for footnotes vs. endnotes? I also prefer footnotes. But it's just too difficult with a book like this, which has pictures. Also the truth is that most readers don't look at either footnotes or endnotes. I look at footnotes, I rarely look at endnotes. You may have addressed this in a previous post. What publisher will you be using or is it being released independently? Just curious. I have noticed that in your previous books, there quickly appears an errata or updated edition. Perhaps you could release a preview copy of the new encyclopedia to a group of reviewers as in the peer-review process. The group could consist of Zoologists and Rabbis that you feel are qualified to comment. This way, any errors or additional knowledge/sources (both in zoology and Torah) can be caught before full publication. Maybe the Torah in its list of the three animals that "chew the cud" is giving us the DEFINITION of chewing the cud. I.e. chewing the cud means either what the camel does (standard chewing cud), what the hare does (cecotrophy), or what the hyrax does (merycism or stomach-anatomy). Therefore, when the Gemara asks "was Moshe a trapper?" it is not saying it is impressed with Moshe that he would have had to know that these are the only animals that chew cud without split hooves, but rather that he would of had to know these three types of animal behavior/anatomy which he would only know if he were a trapper. I know you probably have an editor, but be aware that the word "only" is almost always misplaced. For example, when you write "it can only refer to the leopard," it should be "it could refer only to the leopard." Ask a copy editor for clarification, or consult any good style guide (I recommend Garner's Modern American Usage). No need to post this; just thought I'd give you a heads up. Both are grammatically "correct," Mr Duker...keeping in mind, of course, that English isn't bound by a formal language academy, but by a cluster of style authorities which have been informally accepted as authoritative. "Could refer only" is, indeed, more traditional and academically formal, but common use (or "usage" to use a redundant neologism) dominates contemporary writing styles, which have become more informal, less stilted. A trick is to read one's text out loud to see if it "flows" naturally and if it's "comfortable" to the modern ear. For whatever reasons, "it can only refer to the leopard," sounds better nowadays. Yo, you ain't wrong, man. Ain't nobody gonna be tellin me my English ain't no better than his. In all seriousness, Yehoshua only gave (gave only?) a suggestion that he check with an editor, and was not threatening to call the style guide police on him, or to ban his books for syntactic infractions. Both beautiful and obviously well researched and documented. Hatzlacha Rabba! Truly a groundbreaking work. I hope eventually it gets translated into Hebrew. This is a unique opportunity to support a truly groundbreaking project of great and lasting significance! There he goes shnorrerring again for his research into monkeys. But G-D forbid to support a community - less than 1% of the Jewish Nation, who believe studying Gemara & Halacha the whole day are creating the vibes which breathes life in our persecuted nation at the end of a long galut. "creating the vibes which breathes life in our persecuted nation"
What does that actually mean? Sounds like mumbo-jumbo. "your work on animals which you believe will somehow benefit the nation"
They read it. Hence they benefit. "our intense study of Shulchan Aruch which we believe will benefit the nation." How does it benefit the nation? I guess that is the difference between "Study" and "Practice". Intense study does not a good practitioner make. I have just become aware of this rule myself (by an older person for whom this is something of a pet peeve), but I'm not convinced the rule is absolute. Placing "only" where you would makes for awkward sentences, and I think some old rules like this one may be giving way before recent trends in writing that place a premium on briskness and freshness. Granted, I have not researched this issue, and I might be completely off. If this is a hard and fast rule, then I bow before the rule (I am an Orthodox Jew, after all). But I wonder if this rule is not on its way out. If it is -- even if only a minority think it acceptable to place "only" where it sounds best -- then I think Rabbi Slifkin should not be a stickler for the official rule if doing so makes for more awkward sentences. Regarding your Encyclopedia, Rabbi Slifkin, full force forward and a huge yasher koach on almost completeing the first volume of this monumental project. Not to get into debates of this sort in this forum, but the bottom line is that there are certain usages that are acceptable in speech and in informal writing that are not accepted in professional writing. I was suggesting that if R' Slifkin wants to present a professional product, he should follow those standards. Didn't see this comment, whilst addressing the one of yours above. Very true, but this encyclopaedia is aimed at the general Jewish public, not at academics. The placement of the word "only" is not so much "informal," as less-than-formal, or semi-formal or popular. It's not jargon, nor "street English," and it's certainly not incorrect, if one applies criteria of currently acceptable grammar and comprehensibility. The term "Encyclopaedia" would suggest that this work is intended as a reference book, thus making it an academic work, not a popular work? It looks fantastic and I really hope it gets marketed and distributed in frum bookstores so that the frum can also enjoy such a beautiful, interesting work. The issue of the proper placement of "only" has long been argued among grammarians. Many careful writers will insist that "only" be placed immediately before the word or phrase it modifies. Thus "I only gave him three dollars" would be rewritten as "I gave him only three dollars." Some grammarians, however, have argued that such precision is not really necessary, that there is no danger of misreading "I only gave him three dollars" and that "only" can safely and naturally be placed between the subject and the verb. The argument has been going on for two hundred years. I would suggest that those publishing professional works do a little better than "look what I found on Google." I am aware that not everyone is of this opinion, which is why I recommended that R' Slifkin consult with any of the current style guides. Garner and the Chicago Manual of Style are vociferous on this point. Perhaps others are less so. I suspect that Professor Lawrence Kaplan merely used Google as the simplest and easiest method for making his point. Personally, I would take his word for it without further proof. Mr Duker, you may rest assured that Professor Kaplan does a little more than tramp around Google. You might want to, um, google him. Anyway, the hallowed style manuals are fine for when you're writing a post-grad paper, but in publishing, they're becoming as relevant as Harvard's style manual on web page design; a good idea if anyone cared. "I only borrowed three dollars" can be read as "I only BORROWED three dollars [and didn't steal it]." However, "I borrowed only three dollars" has one meaning. Who cares if there is history to the argument! It used to be the accepted practice that "only" would appear only before that which it modifies; we really should revert back to the way our ancestors did things. >>>>we really should revert back to the way our ancestors did things. we should really revert back to the way our ancestors did things. we should revert back to the way our ancestors really did things. I had the privilege of helping to edit the volume and am one of the few people who have read it cover to cover. Its an awesome book! a great popular combination of Torah, science and cool facts. As for "only", if its wrong, I take responsibility, but I tend to think that common usage has rejected this rule. o "The feet of the hyrax are of a peculiarly solid shape with a rubbery texture." -- Is the *shape* peculiar, or is the *solid*ness peculiar? "Peculiarly solid shape" just sounds, umm, peculiar. o "However, the hedgehog is not a candidate for the shafan; it does not do anything that could be described as bringing up the cud, and nor does it match the scriptural description of the shafan being a creature that makes its home inside rocks." -- Just because he lived there does not mean that he was familiar with its wildlife. I'm sure you can name some scholars in Israel who aren't familiar with Israel's wildlife. More *likely* familiar is more like it. o "Jerboas are rodents, not ruminants, and they are not known to chew the cud." -- "the cud" or "their cud"? o "Thus, Rabbi Yosef Schwartz, who wrote a book on the geography and natural history of the Land of Israel based on his experiences there, identified the shafan as the hyrax, giving it the Arabic name of wabr (like Rav Saadiah Gaon)." -- Is "giving" the proper verb to use? It's not like he *coined* the word. o "Still, this would *undoubtedly* be sufficient basis for the Torah to describe such a process as “bringing up the cud.” "
-- Well, at least *most likely*. o Caption on picture: "A hyrax demonstrating its ruminant-like method of chewing"
-- From the picture, it looks like the hyrax's jaw is a bit off to the side while chewing the grass. Is that sufficient to claim that its chewing is ruminant-like? Are there other types of animals that also chew "sideways"? You can just say "A hyrax chewing grass"
ruminants, hyraxes engage in chewing actions even when they are not grazing." -- Since the second half of this excerpt is just repeating the first part, I'm not sure the word "furthermore" is appropriate. o "The hyrax’s homebuilding could have been compared to the Persian building of palaces." o "Hyraxes are tremendously agile creatures which spectacularly leap from rock to rock in their native habitats." Does this mean that their leaping is nail-biting, or does it mean that that they have strong legs? If they have strong legs, then that could contradict Mishlei that says they aren't strong! Maybe you should tell more about the strength of the hyrax. While you're at it, you could mention their winter habits, average weight*, their diet, gestation period, average number of babies, lifespan, etc. If I may be so presumptuous, I'd like to suggest that your focus on proving that shafan = hyrax pushed away the elaboration of other interesting features of the hyrax. o You write that the hyrax resemble large guinea pigs or woodchucks, but I imagine that many readers don't know how big these animals are. o The verse from Proverbs is translated: "The shefanim are not a strong people, but they place their home in the rock"
-- I could see an argument made to translate this passuk as: "The shefanim are not a strong people, *and therefore* they place their home in the rock." o Footnote 29: "Note that in Proverbs, the shafan is grouped with the locust, ant and spider as being one of the small creatures". -- Now that I noted it, I have a kasha on it! Now I'm looking to identify the shafan as an animal about the size of an insect! shafan which appears in the phrase שהשפילה את התורה מפי הנביאים . -- Can you bold the acronym in the phrase? It's hard to spot. o "This would appear to be correct, since the other verse is followed by a statement that the mother of Ptolemy was named after a hare, indicating that that section is speaking about Greece rather than Media." -- I'm not sure what you mean by "the other verse." What other verse? And I'm not discerning why R' Benveniste's textual change is correct from the reasoning you give. Beautiful work! I don't mean to split hyraxes, but in note 31 of the leopard entry, mention is made of a 'Sefer ha-Makneh' on Kiddushin...Is this a case of preferring popular usage over the actual pronunciation (ie, midrash/medrash), Sefer ha-Mikneh? I had to hunt hard for an error in your leopard essay. And I'm not even sure if this *is* one: Footnote 44 refers to "Brian Bertram, in The Unwin Encyclopedia of Mammals." Are you perhaps conflating two different books into one? I stand corrected. Should've double-checked before I opened my big...well, keyboard.